we your loving and trustful children implore you to obtain for us the graces and favors we ask during this novena, if they be beneficial to our immortal souls, and the souls for whom we pray. 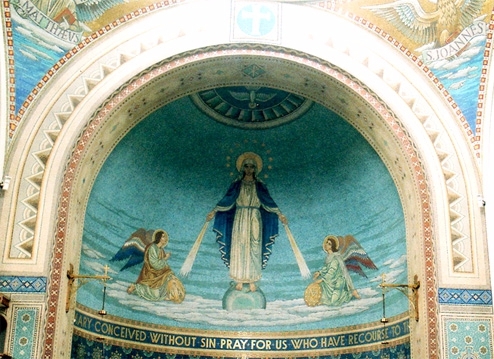 You know, O Mary, how often our souls have been the sanctuaries of your Son who hates iniquity. Obtain for us then a deep hatred of sin and that purity of heart which will attach us to God alone so that our every thought, word and deed may tend to His greater glory.